We currently partner with Jeppesen and Seattle Avionics Software for databases on the Evolution 1000 and 500 flight displays. This FAQ page will hopefully answer most of your questions regarding the available databases. What is the Jeppesen data? How do I get updates to the Jeppesen data? The following questions address the new higher resolution terrain database from Jeppesen, released January 16, 2012. Clarification Question: Does my Aspen installation qualify to receive the new Jeppesen terrain? Why is there a new Jeppesen terrain database? Do you have maps of the coverage areas for this new Jeppesen terrain database? When will Evolution Synthetic Vision be available for Europe, Canada, Alaska, Australia, New Zealand, Africa, Japan, Brunei, etc? What resolution data is used to render the Evolution Synthetic Vision images? How does an operator get the new Jeppesen terrain database? For operators without Evolution Synthetic Vision, what does the new terrain database offer? Who is the database vendor for Evolution Synthetic Vision? How often is an updated database required? What do single updates and annual subscriptions cost? Can Aspen data be bundled with other databases (430W, for example) for price discount? What is this new Chart & Diagram offering for Aspen MFDs from Seattle Avionics Software? What benefit does this have for me, a pilot who owns an Aspen MFD? What does this new ChartData Subscription cost? 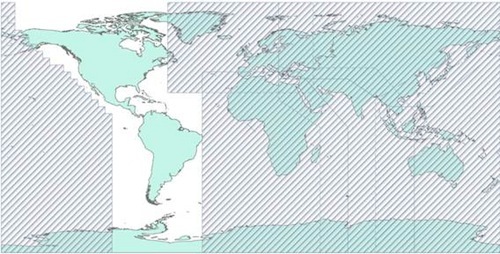 What are the current coverage areas? Are there any planned additional regional product availability and dates? How do I get a subscription from Seattle Avionics for the charts and geo-referenced airport diagrams? Are there any specials or promotions for Aspen customers? What if I lose my micro SD card or would like to have an extra one? Do all database updates go on the same micro SD card that came with my Evolution Flight Display? Do I need a new 16GB micro SD card to use the new charts and diagrams service? What is the recommended reader/writer hardware for the micro SD card? Who are my support contacts regarding data subscriptions? NavData®: Airports, runways, frequencies, navaids, controlled airspace and restricted airspace. Obstacle data: Depiction of the location and height of man-made obstacles that extend above the ground. Cultural data: Contains boundary and reference information for countries, other major political subdivisions, large water bodies, coastlines, time zones, and other physical and political features. Terrain data: Data that depicts the contours and shapes of the surface of the earth. The 3 arc second terrain database, mainly due to the large file size, lives on the micro SD card that loads into the front of the EFD display. The terrain data will only be updated on an as needed basis and is not a part of the normal 28-day data update cycle from Jeppesen. 1. Jeppesen data is pre-loaded onto the micro SD card that is shipped with the MFD unit. 3. Select your coverage from the drop down menu on the registration form (Americas or International) and type in your preferred activation date. 4. NavData/Obstacle/Cultural data are combined into a single update which is delivered via JSUM (the Jeppesen data update manager) every 28 days. 5. We will automatically forward your product registration information to Jeppesen for activation of the complimentary service. 6. You will receive a confirmation email directly from Jeppesen indicating service activation as well as instructions on how to use their update manager. Although we make every effort to turn the registrations around very quickly, the entire process may take up to 3-4 days. If you have a single display installation (Pilot or Pro PFD) WITHOUT synthetic vision, then you do NOT require the new terrain update. Single PFD displays do not have a Nav Map view and do not require a micro SD card with terrain data to be loaded into the EFD card slot. If you have a single display installation (Pro PFD) WITH synthetic vision, then you DO qualify for the new terrain update. If you have an active Jeppesen subscription for Aspen data, then the terrain update will automatically appear in your JSUM account (Jeppesen Service Update Manager)*. If you do not have an active Jeppesen subscription for Aspen data, please see "How does an operator get the new Jeppesen terrain database?" for instructions. If you have a multi-display installation WITHOUT synthetic vision, then only your MFDs DO qualify to take the terrain update. If you have an active Jeppesen subscription for Aspen data, then the terrain update will automatically appear in your JSUM account (Jeppesen Service Update Manager)*. If you do not have an active Jeppesen subscription for Aspen data, please see "How does an operator get the new Jeppesen terrain database?" for instructions. If you have a multi-display installation WITH synthetic vision, then ALL of your displays (PFD and MFD) DO qualify for the terrain update. If you have an active Jeppesen subscription for Aspen data, then the terrain update will automatically appear in your JSUM account (Jeppesen Service Update Manager)*. If you do not have an active Jeppesen subscription for Aspen data, please see "How does an operator get the new Jeppesen terrain database?" for instructions. *Note: EFDs and Evolution Synthetic Vision upgrade kits shipped after January 16, 2012 are shipped with the updated terrain database. Jeppesen has created a new, higher resolution worldwide database that supports Aspen’s release of worldwide Evolution Synthetic Vision (ESV). The new terrain database enhances the Nav Map terrain resolution and expands the ESV operating area to regions outside of the Continental United States (CONUS). Outside the CONUS the new terrain database improves the best resolution of the terrain database from 30 arc seconds to 9 arc seconds, which is required for ESV in these regions and greatly improves the resolution of the MFD maps. 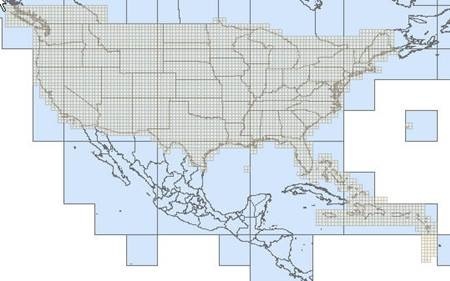 Within North America, the new database resolves some omissions in the existing 3 arc second data, enables ESV operation in the CONUS border and coastal regions, and expands the lateral coverage for the highest resolution 3 arc second terrain data to regions bordering the CONUS, including Vancouver Island, lower British Columbia, Southern Ontario, Southern Quebec, and the Caribbean islands from the Bahamas through Grenada. ESV will be available in all of the hashed regions shown on the above chart, except the areas north of 65N or south of 65S. The expanded international ESV is available the week of January 16, 2012. ESV will be immediately available for all N-registered aircraft operating around the world, and in all international jurisdictions that accept FAA approvals. For aircraft registered in EASA member states, ESV ETSO approval is currently in process, expected in the first quarter of 2012. EASA STCs corresponding to specific aircraft makes and models held by various EASA Design Organization Approval Holders are expected to be ammended throughout 2012 to add ESV capability. Customers are encouraged to check with their Aspen authorized dealer for ESV upgrade eligibility. Inside the CONUS region, the ESV terrain profile is rendered using 9 arc second data with 3 arc second data used to create the terrain shadowing. Outside of the CONUS region, the terrain profile and terrain shadowing are rendered using the 9 arc second data. The terrain database upgrade will be automatically provided to Aspen customers with active Jeppesen data subscriptions at no charge (see below if you do not have an active Jeppesen data subscription). Automatically be added as a service to your active JSUM account, with coverage corresponding to your NavData region (Americas or International). Will appear on your JSUM account on January 16, 2012. Remain available for download from your active JSUM account until October 2012 or three downloads, whichever comes first. *Please note: The file size is approximately 2 GB. This could take several hours to download depending on the speed of your Internet connection, firewall settings, and/or security settings, so please plan accordingly. Also check that you have the current version of JSUM before beginning the download (software version 2.2.8 or later). This is a one-time update of the terrain database and will not be a recurring update each cycle. Terrain is only updated on an as-needed basis. If you do not have an active Jeppesen data subscription, and have not previously activated your 90 day complimentary subscription, then please register via the Customer Port on the Aspen website to activate the complimentary 90 day Jeppesen subscription available to Aspen MFD or ESV customers. Aspen encourages all MFD and ESV customers to maintain current data on their flight displays. If you no longer have an active Jeppesen subscription, you may contact Jeppesen at 1-800-525-7379 to activate a paid NavData subscription. The updated terrain database is included with all new ESV upgrade kits going forward, as well as with all new Evolution Flight Displays shipping from the factory. Then you are not eligible for a free upgrade. Please contact Jeppesen to purchase a replacement micro SD card or activate a Jeppesen NavData subscription in order to get the new terrain files. You may also upgrade to ESV to obtain the new database. Outside the CONUS, MFD customers will experience better resolution terrain on the Nav Map displays. Throughout the entire world, the best resolution has improved from the previous 30 arc second data to 9 arc seconds. This improvement will be noticeable for all international customers, and will improve the MFD experience. Within the Americas region, the 3 arc second coverage has been extended into some border regions of southern Canada and also throughout the Caribbean, further enhancing the customer experience in these regions. Also, the new database corrects missing 3 arc second data in some regions within the CONUS. Jeppesen provides all databases used to render the ESV views. Aspen strongly recommends that all Aspen customers maintain current data in their Evolution displays. However, there is no mandatory database update required by FAA regulation since ESV is approved for situational awareness only. Obstacles, terrain and other hazards should be avoided by strictly adhering to VFR and IFR rules, procedures, and requirements. Customers should contact Jeppesen for current pricing. A single Jeppesen data subscription for the Aspen Evolution system can be used to update up to three installed Aspen displays. Please contact Jeppesen for current pricing. What is the new Chart & Diagram offering for Aspen MFDs from Seattle Avionics Software? The Evolution Software version 2.2 or later for the 1000 MFD and 500 MFD features the full library of the U.S. Instrument Approach Procedure charts, Departure Procedure charts, Standard Terminal Arrival Route charts (collectively, "charts"), and geo-referenced FAA airport diagrams. Subscriptions for this digital chart library are supported through our partner, Seattle Avionics Software. Upgrading to the current Evolution Software version is available to Aspen customers through our authorized dealer network. As an Aspen operator, you will be able to see and reference FAA certified Instrument Approach Procedure charts, Departure Procedure charts, Standard Terminal Arrival Route charts, and geo-referenced FAA airport diagrams right on your Aspen MFD. You can zoom and pan on these charts and diagrams with an easy-to-use interface. Geo-referenced airport diagrams display aircraft position accurately right on top of the FAA diagram, increasing situational awareness while maneuvering on the ground, making ground operations safer. All 12,000+ certified FAA Instrument Approach Procedures for airports in all 50 states are available for reference. The first three 28-day cycles of all charts and geo-referenced airport diagrams are available at no cost to Aspen customers. To keep them updated each cycle thereafter the cost is $299 annually or $99 for a one-time update. Current coverage for the Seattle Avionics Software FAA certified charts and geo-referenced airport diagrams is all 50 of the United States. Yes, Seattle Avionics Software is currently working on European Union charts and data for availability later this year. They will also be working on Canada, Latin America, as well as other regions of the world. 1. Take your Aspen MFD to your authorized Aspen dealer to get the current software version installed (Evolution Software version 2.2 or later for the Charts feature). There is no charge from Aspen, but the avionics shop will charge you for their time for installation and testing. 2. Your avionics shop will also install your first set of certified charts and airport diagrams for all 50 states. Note: You will receive a new 16GB micro SD card as part of the upgrade kit. This is the card you will use going forward to download/upload your database subscriptions. 4. Create a new account. The last step of the process will automatically log you into the ChartData Activity Center. 5. Download the SA Download Manager to any PC or laptop you own (as many as you’d like). This is the software utility that will keep your charts & airport diagrams updated on your Aspen micro SD data card. 6. The first three 28-day cycles of charts and diagrams will be updated free of charge through the Seattle Avionics Data Manager, then you’ll need to purchase either the one-time or annual subscriptions through Seattle Avionics to keep them updated. Aspen Avionics and Seattle Avionics Software are pleased to provide the first three months (three 28-day cycles) of chart and diagram service to Aspen customers free of charge. This is an on-going Aspen-only customer special offer, not a temporary promotion. Yes, all databases (Jeppesen data and the charts from Seattle Avionics) are loaded to the same micro SD that comes with your flight display. Yes. As part of the upgrade kit (if you are not currently at version 2.2 or later) you will receive a new 16GB micro SD card. This is the card you will use going forward to download/upload your database subscriptions. The SD card must remain in the front slot of the flight display unit during use. Any reader/writer that can support: Micro SD Card, size 8 GB or higher, Class 4 or higher. Who are my support contacts?